This year has seen the introduction of a number of new cameras, as well as the refinement and updates of existing cameras bringing you some of the quickest and most feature-packed cameras and products ever available. 4K video is now available in a number of cameras, even ones that cost less than £300, and Wi-Fi is now expected as a standard, with even the cheapest camera here featuring built-in Wi-Fi. As the entry-level compact camera market has mostly been replaced by smartphones, and smartphone camera quality has improved dramatically, we've included the best smartphone. 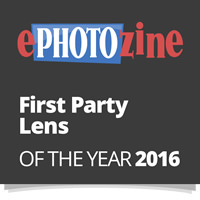 We've also expanded our list to highlight some of the best new lenses reviewed this year. Here, we have awarded what we believe to be the best of the best; the best in the range, offering not only excellent image quality but also a full range of features, excellent handling and great value for money. If you were to buy any of these cameras, you would not be disappointed. 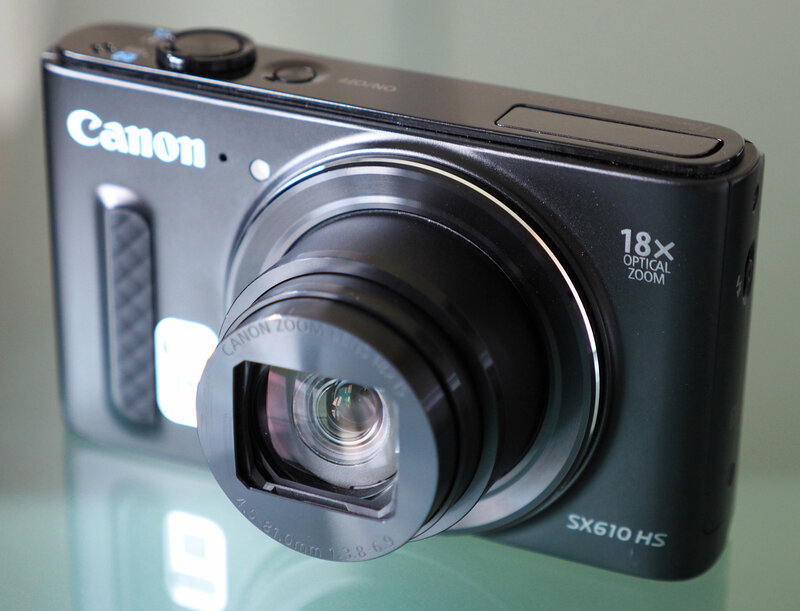 Canon Powershot SX610 HS - The Canon Powershot SX610 HS offers an 18x optical zoom lens, a 3inch screen, built-in Wi-Fi and NFC for quick sharing, and a stylish design with good handling. Available for around £120 in a number of different colours. "In terms of what the camera does well, the Canon Powershot SX610 HS produces images with excellent colour and reliable exposure. Focus is quick and reliable, and the camera's built-in Wi-Fi and NFC connectivity is good. The battery life is a little short, but can be extended to a much more impressive 400 shots when the ECO mode is enabled." 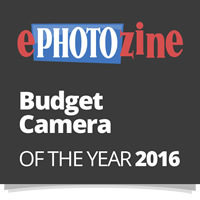 For more details have a look at our Top 10 Best Budget Cameras 2016. Olympus Stylus Tough TG-860 - The TG-860 offers some unique features, including an ultra wide angle 21mm equivalent lens, a tilting selfie screen, front shutter release button and side tripod socket. It's waterproof to 15 metres, shockproof from 2.1 metres, as well as being dust and freeze-proof. Available in a number of different colours, it has a 5x optical zoom lens and built-in Wi-Fi and GPS, making it a great travel camera. 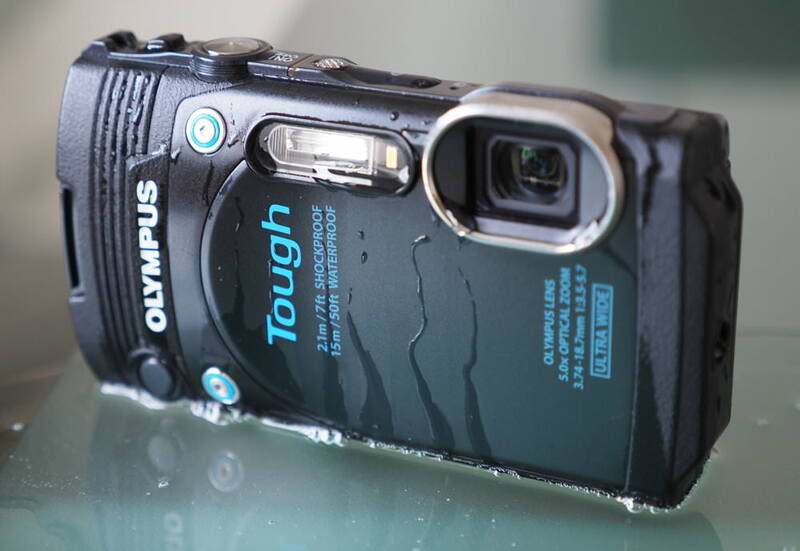 The Olympus Stylus Tough TG-860 is available for £184. "The Olympus Stylus Tough TG-860 updates the TG-850 with a number of new and useful additionals, including built-in Wi-Fi and GPS, as well as a customisable front shutter release button and side tripod socket. The camera is also more waterproof, the rating now goes to 15 metres. With an ultra wide-angle 21mm equivalent lens, fast performance and tilting selfie screen, the TG-860 is somewhat unique in this market segment, and with a competitive price, it's difficult to not like this camera." 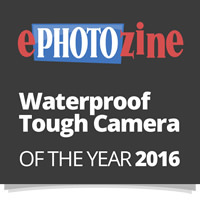 For more details have a look at our Top 10 Best Waterproof Cameras 2016. 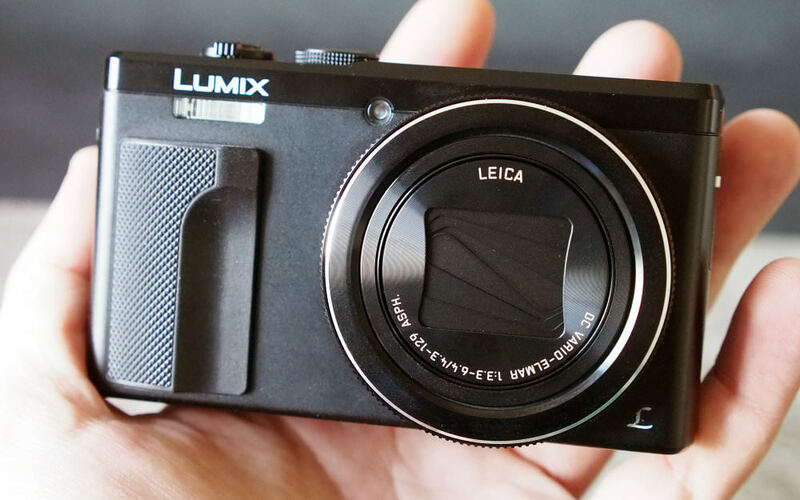 Panasonic Lumix TZ80 - The Panasonic Lumix TZ80 is the latest version of the perfect travel zoom camera, with a built-in electronic viewfinder, GPS and Wi-Fi, along with a huge 30x optical zoom lens, the camera can even fit in your pocket. With an 18 megapixel sensor, the camera can now record 4K video. The TZ80 is available for £290. 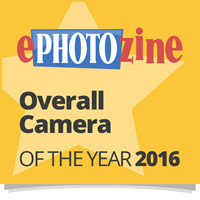 "The TZ80 is capable of taking great photos, with excellent colour and good levels of detail. The lens gives you a great zoom range, the viewing and user experience is excellent thanks to a clear 3inch screen, and a high-resolution electronic viewfinder. 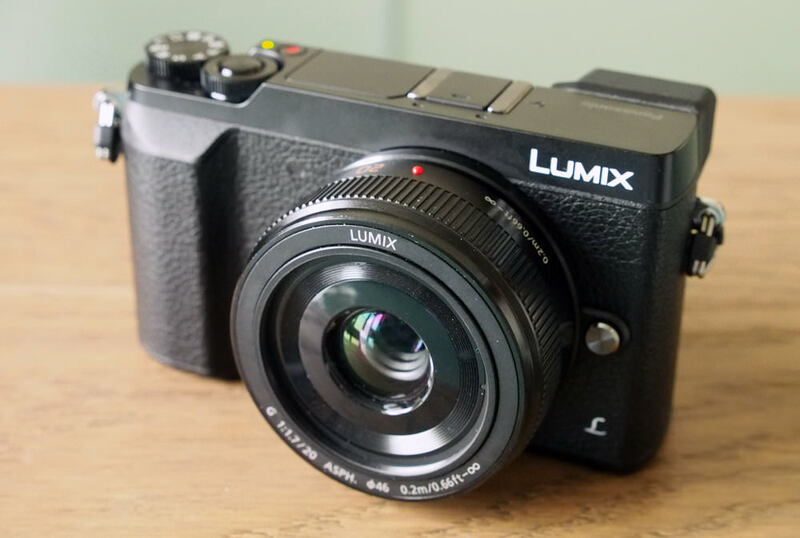 If you think about the innovative 4K photo and video features, as well as the post focus shooting mode built into this camera, the Panasonic Lumix TZ80 is an extremely appealing camera, and should be high on your wish list." 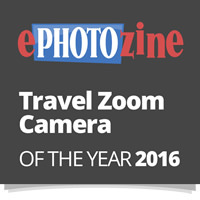 For more details have a look at our Top 10 Best Pocket Zoom Cameras 2016. 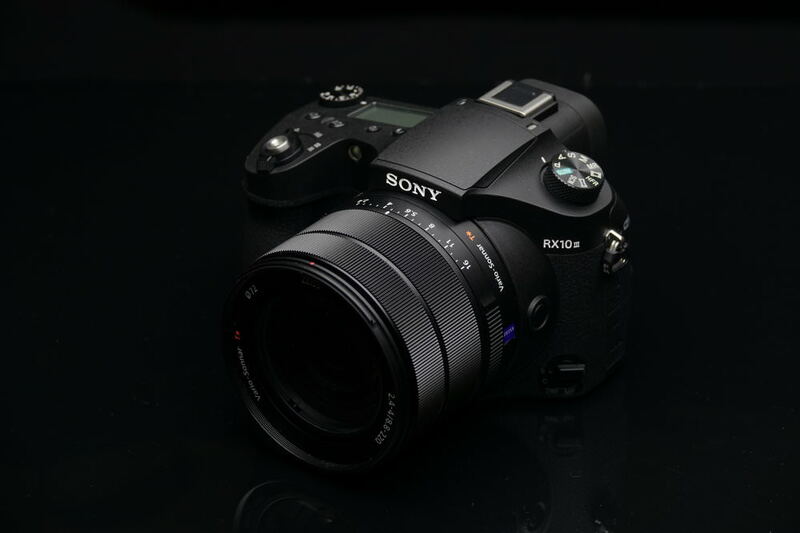 Sony Cyber-shot RX10 Mark III - The Sony Cyber-shot RX10 Mark II features a 25x optical zoom lens, with a bright f/2.8-4.0 aperture, full manual controls, high-speed shooting, 4K video recording (plus slow-motion video), and a larger than normal 1inch BSI CMOS sensor. The camera is capable of taking excellent images and is available for around £1489. "Image quality is excellent, with the lens performing well, producing images with good colour and detail. If you are looking for an all-in-one solution with a lot of zoom and high-speed shooting, and don't want to carry a range of telephoto zoom lenses and an interchangeable lens camera, then the RX10 Mark III would be an excellent option, particularly if you have the budget available." 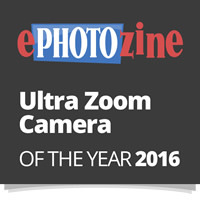 For more details have a look at our Top 10 Best Ultra Zoom Cameras 2016. 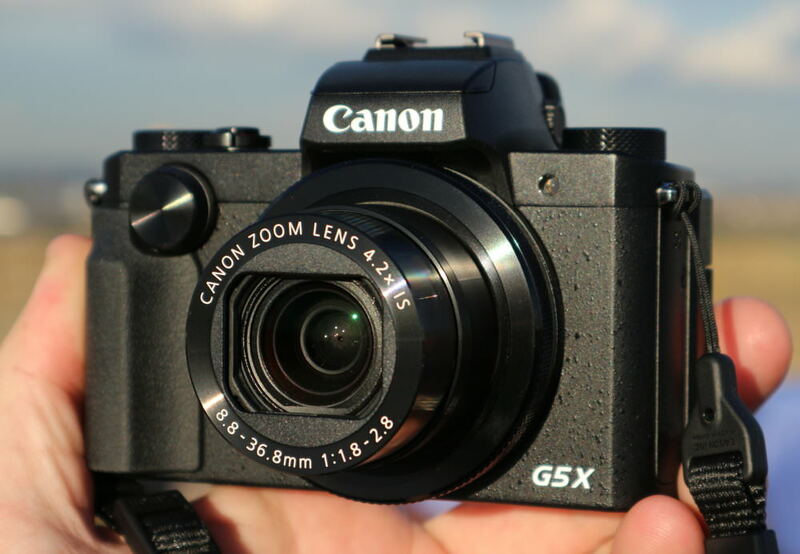 Canon Powershot G5 X - The Canon Powershot G5 X is a development of the G7 X, and features the same large 20 megapixel 1inch BSI CMOS sensor and bright 4.2x optical zoom f/1.8-2.8 lens, but adds a tilting vari-angle touch-screen, electronic viewfinder and updated design. The G5 X certainly offers the complete package. The Canon Powershot G5 X is available for £549. "The Canon Powershot G5 X offers a larger than normal sensor, with a 20 megapixel 1inch BSI CMOS sensor that is known to give good image quality and low levels of noise. Combined with a 4.2x optical zoom lens with image stabilisation, the G5 X gives more optical zoom than most of the competition with the same sensor. The camera adds a high-resolution electronic viewfinder (EVF) with 2.36million dots, and a 3inch tilting vari-angle touch-screen, which makes the camera extremely versatile whether shooting with the screen or the viewfinder." 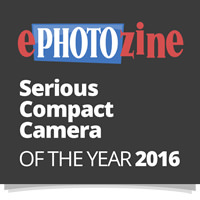 For more details have a look at our Top 10 Best Serious Compact Cameras 2016. Panasonic Lumix GX80 - The Panasonic Lumix GX80 is a compact and stylish Micro Four Thirds camera that offers a 16-megapixel sensor, 5-axis image stabilisation (in-body), 4K video recording, a tilting 3inch screen, as well as a built-in electronic viewfinder (EVF). The Panasonic Lumix GX80 is available for around £549 with lens. "The GX80 delivers images with very good colour and is capable of producing images with excellent detail, although does benefit from the use of high-quality lenses to get the best out of the camera. However, saying that, the 12-32mm kit lens produces good images, and is particularly convenient thanks to the extremely compact size, turning the GX80 into a camera you can easily take with your where-ever you go." For more details have a look at our Top 10 Best Entry Level Mirrorless Cameras 2016. Panasonic Lumix G80 - The Panasonic Lumix G80 is a weather-sealed DSLR-styled Micro Four Thirds camera that offers a 16-megapixel sensor, 5-axis image stabilisation (in-body), 4K video recording, a vari-angle 3inch screen, as well as a good sized built-in electronic viewfinder (EVF). The Panasonic Lumix G80 is available for around £699 body only. "The Panasonic Lumix G80 / G85 offers a compelling set of features, along with impressive image quality for both stills and video. 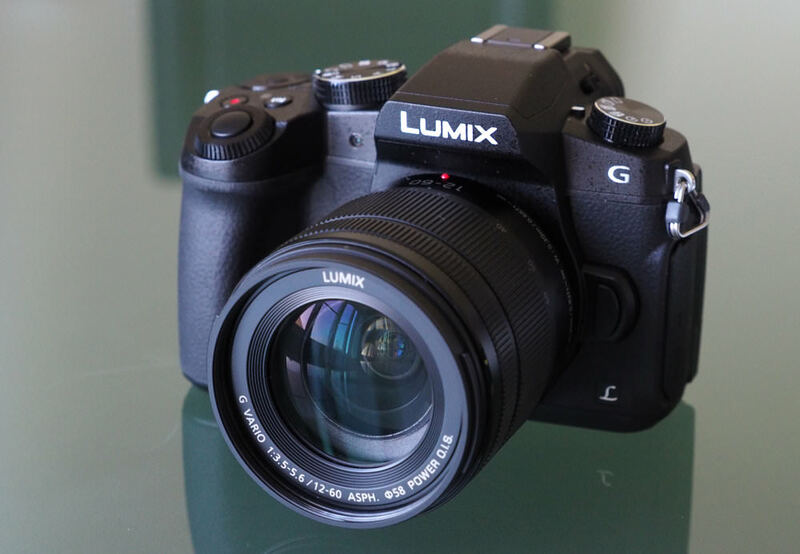 With DSLR styling, weather sealed body, along with a large range of compact Micro Four Thirds lenses, and a very competitive price point, the G80 is definitely one of the best mirrorless cameras recently released." 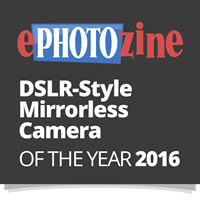 For more details have a look at our Top 10 Best EVF Mirrorless Cameras 2016. 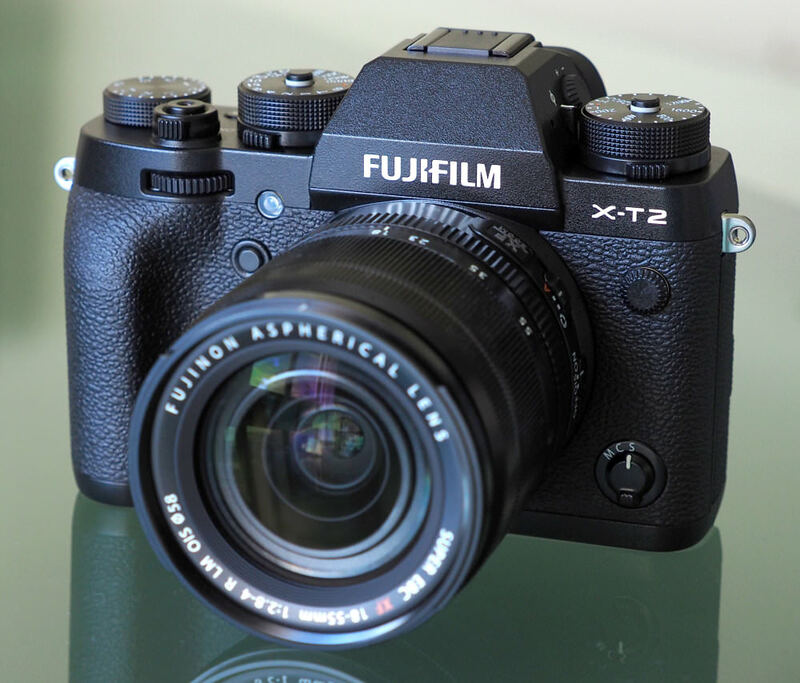 Fujifilm X-T2 - The Fujifilm X-T2 is the second version of Fujifilm's SLR-style mirrorless camera and offers weather-sealing, phase detection AF, a 24 megapixel APS-C sensor, 4K video, ISO100 to ISO51200, a tilting (multi-angle) 3inch screen, dual SD card slots, and more. A Vertical Power Booster Grip is available, which offers extended battery life (up to 1000 shots), and enhances the camera's performance further with a faster EVF refresh rate, and 11fps continuous shooting from 8fps without. A faster 14fps continuous shooting speed is available using an electronic shutter. The Fujifilm X-T2 is available for £1379 body only. "The Fujifilm X-T2 delivers excellent image quality, with high-speed focus, and excellent noise performance. Every new release from Fujifilm gets better, and the X-T2 certainly delivers great results. Fujifilm has also had an excellent track record of introducing new firmware to new and old camera models, and if this continues, then we can expect the X-T2 will also get better with time. " 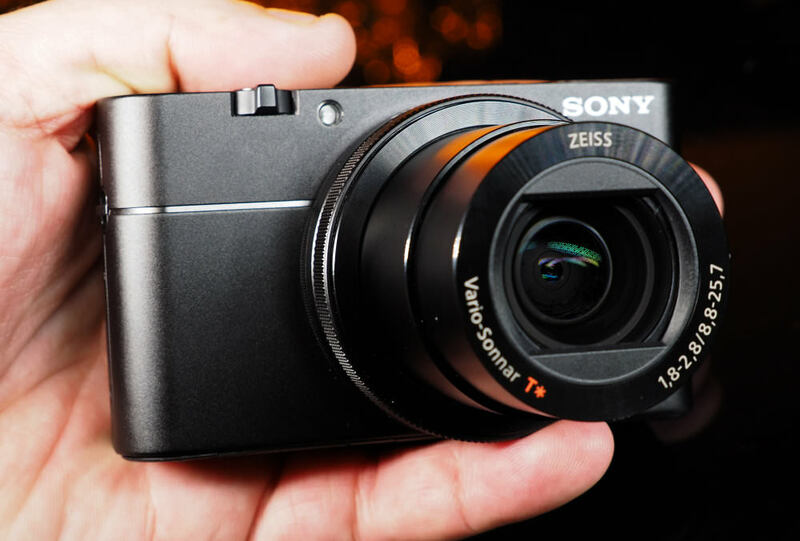 Sony Cyber-shot RX100 Mark V - The Sony Cyber-shot RX100 Mark V offers an eye-watering 24fps continuous shooting at the full 20-megapixel resolution, and features a tilting screen, built-in pop-up viewfinder, and built-in flash. The camera records 4K video recording, plus slow motion video up to 1000fps. The Sony Cyber-shot RX100 Mark V is available for £949. "The Sony Cyber-shot RX100 Mark V offers the highest specifications available in any digital camera, with a 20 megapixel 1inch BSI CMOS sensor, 315PDAF points, 24fps continuous shooting at full-resolution with continuous AF, 4K video recording, and high-speed video recording. This makes it significantly faster than anything else available on the market!" Pentax K-S2 - The 20 megapixel Pentax K-S2 features a tilting vari-angle screen, built-in Wi-Fi, full HD video, mic socket, sensor-based shake reduction, and rare for an entry level camera, also features a weather sealed camera body and weather sealed kit lens. The Pentax K-S2 is available for £469 body only. 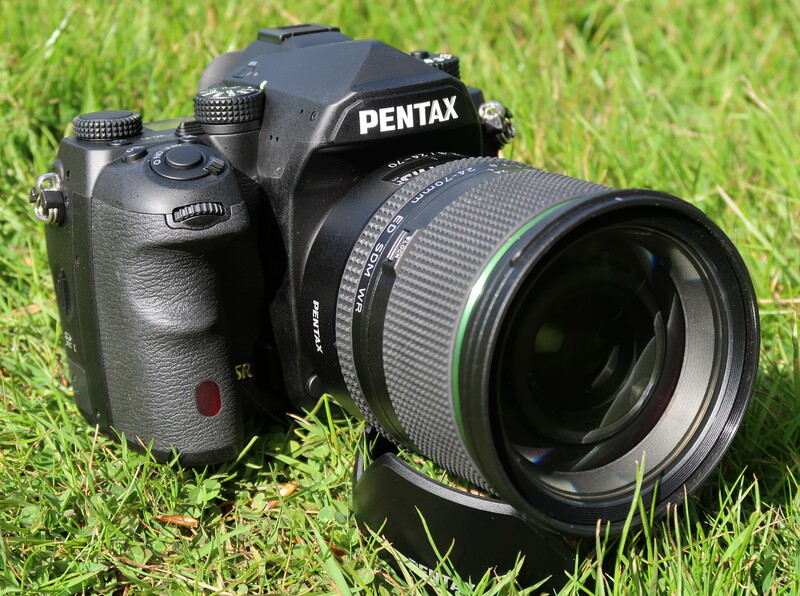 "The Pentax K-S2 is highly impressive and performs flawlessly. I immediately liked its predecessor, but the K-S2 manages to top that, fitting the hands like a glove and performing superbly in every respect. In many ways, I prefer this design to the more expensive K-3, although we have to recognise that there are still some advantages to the more expensive model. In its class, the enthusiast-orientated K-S2 is absolutely superb, and I would very happily use one for the photography I do." 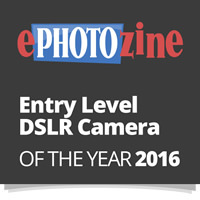 For more details have a look at our Top 10 Best APS-C DSLRs 2016. Nikon D500 - The Nikon D500 offers a 20 megapixel APS-C CMOS sensor, 10fps continuous shooting, 4K video recording and built-in Wi-Fi, Bluetooth and NFC. The camera offers an impressive ISO range from ISO50 to a massive ISO1,640,000 (1.6 million!). The camera has a tilting 3.2inch screen, 153 AF points, and USB3 connectivity. The shutter is rated for 200,000 shots and the camera has a weather-sealed body making it suitable for professional use. 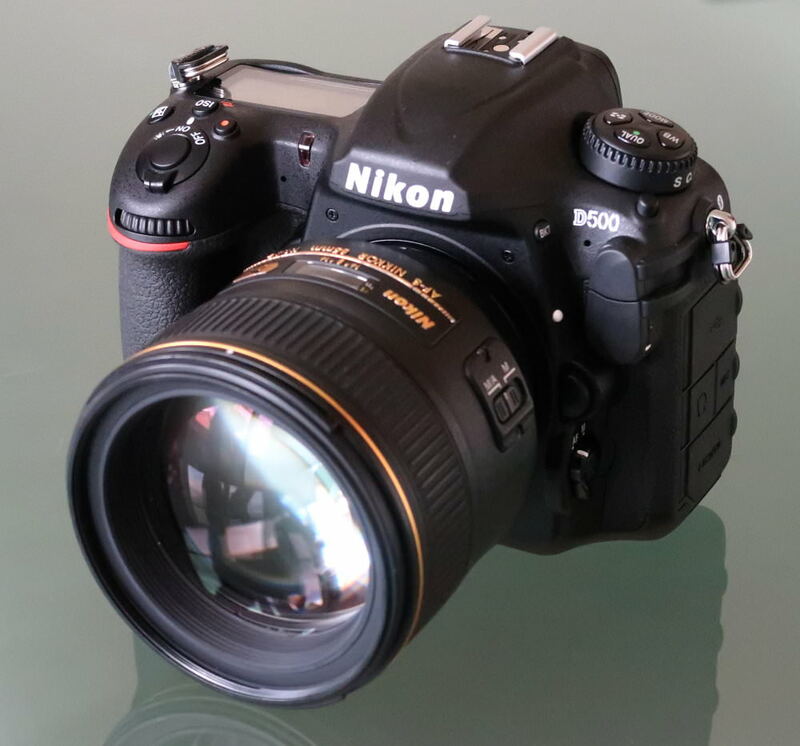 The Nikon D500 is available for around £1445 body only. "If you're looking for the best ISO performance available in an APS-C camera, without having to go over to the larger full-frame format, then the Nikon D500 delivers some of the best results we've seen from this size sensor. The camera also offers excellent auto white balance performance, which improves image quality thanks to delivering excellent colour and saturation. The focus system is shared with the much more expensive Nikon D5, and the automated AF fine-tune system can help speed up the calibration of your camera and lenses. All of this combines to deliver excellent image quality." 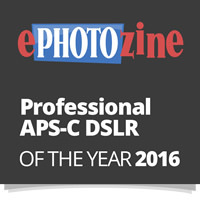 For more details have a look at our Top 10 Best APS-C Digital SLRs 2016. Pentax K-1 - The Pentax K-1 offers a 36-megapixel full-frame sensor, a weather-sealed body, 5-axis shake-reduction sensor, pixel shift resolution, a flex-tilt (multi-angle) 3.2inch screen, an ISO range from ISO100 to ISO204800, and built-in Wi-Fi and GPS. The shutter is rated for 300,000 shots, and the camera features built in lights to help you see what you're doing if you're shooting in the dark. 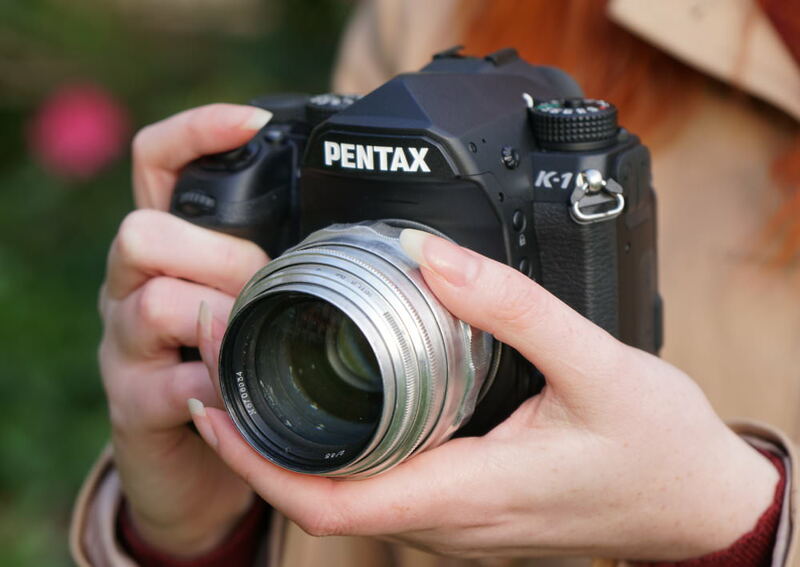 The Pentax K-1 is available for £1799 body only. "After the long wait for a full-frame DSLR, Pentax has hit the ground running with the Pentax K-1. With a 36 megapixel full-frame sensor and a host of unique features including built-in GPS, Wi-Fi and 5-axis image stabilisation sensor, at an extremely competitive price, the Pentax K-1 offers the best bang-per-buck of any current Digital SLR." 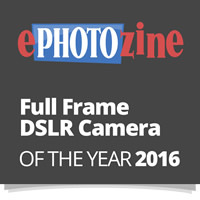 For more details have a look at our Top 10 Best Full-Frame Digital SLRs 2016. 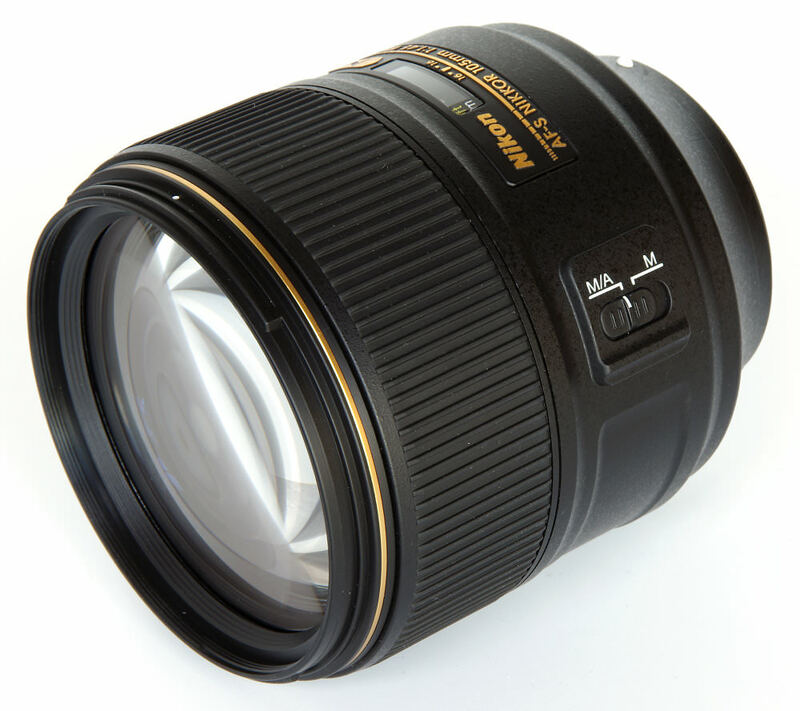 Nikon AF-S Nikkor 105mm f/1.4 - The new Nikon 105mm f/1.4 lens offers a new target for others to aim towards, being the World's brightest 105mm lens, and scores well in sharpness (MTF) tests, has low CA and is resistant to flare. There are 9 aperture blades for smooth bokeh. "There is no doubting the fine qualities of the Nikon AF-S Nikkor 105mm f/1.4E ED lens. It delivers the goods, the images are beautiful and the handling sublime. The Nikon AF-S Nikkor 105mm f/1.4E is a very special lens that is well worth owning." For more details have a look at our Top 11 Best Nikon AF-S Nikkor Lenses 2016. Samyang 85mm f/1.2 - The new Samyang lens offers a new price target for others to aim towards, offering a bright f/1.2 aperture 85mm lens, and scores well in sharpness (MTF) tests, has low CA and is resistant to flare. 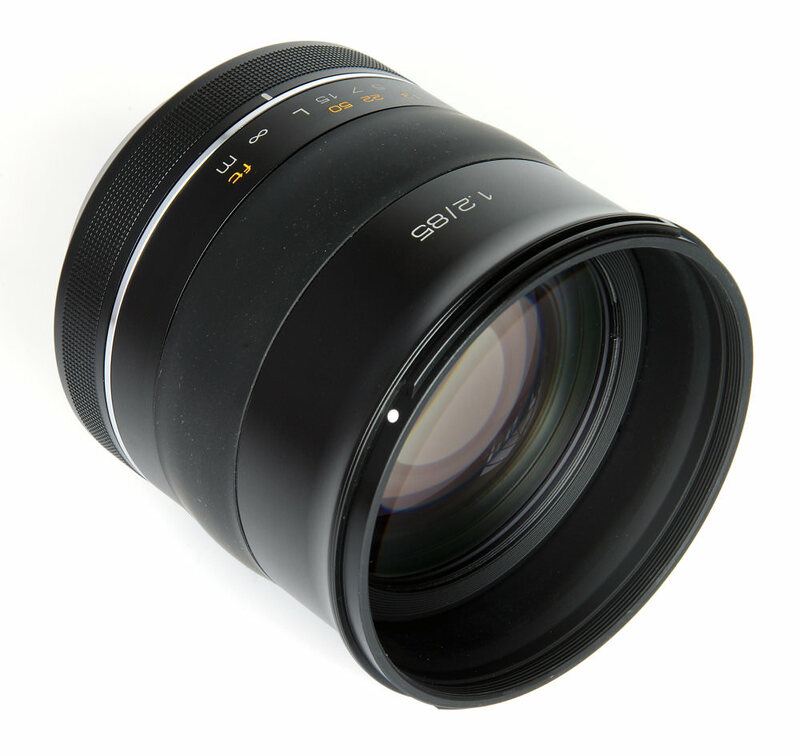 The manual focus Samyang 85mm f/1.2 features 9 aperture blades for smooth bokeh. "In this case, the quality of the Samyang 85mm f/1.2 is so good that the brighter aperture offers no disadvantage and Samyang are offering us a very attractive lens at a very attractive price." For more details have a look at our Top 15 Best Samyang Lenses 2016. 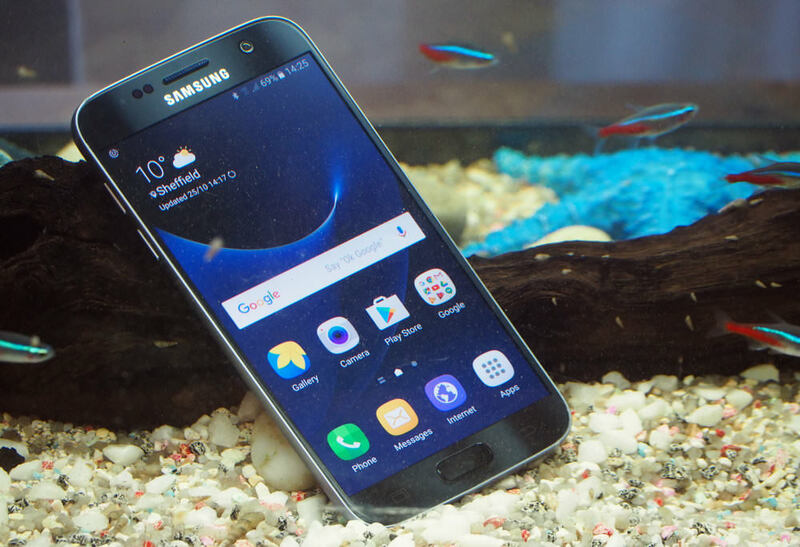 Samsung Galaxy S7 - The Samsung Galaxy S7 features a dual pixel 12-megapixel sensor with phase-detection AF, plus a bright f/1.7 lens. It has a 5.1inch quad HD screen and can capture 4K video as well as 9-megapixel stills when in video mode. It's also dustproof and waterproof to a depth of 1.5m for up to 30 mins. There's also Corning Gorilla Glass 4 on the screen and back on the phone, and a MicroSD card slot to expand the memory. "The Samsung Galaxy S7 has one of the best cameras on a smartphone available today, with not only the brightest lens available at an impressive f/1.7, it's also sharp producing detailed images that look great. With optical image stabilisation, ultra-fast phase-detection focus, and a 12-megapixel sensor, combined with a bright aperture, the S7 is one of the best smartphones available for low-light photography. " 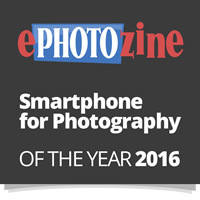 For more details have a look at our Top 10 Best Camera Phones for Photography 2016. 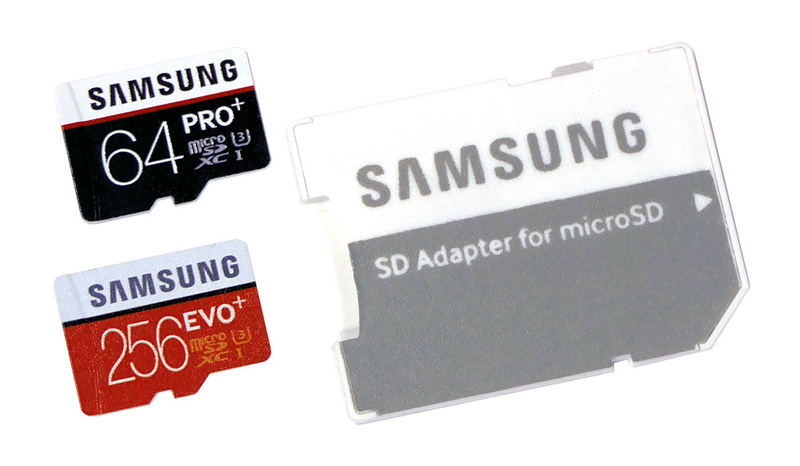 Samsung PRO+ and EVO+ MicroSD Memory Cards - The latest EVO+ and PRO+ MicroSD cards from Samsung offer high speeds with a U:3 rating, and large capacities. They are also waterproof, temperature proof, x-ray proof and magnet proof and with a 10-year warranty, it is a memory card you can rely on, suitable for both smartphones and cameras. "The Samsung EVO+ 256GB microSDXC memory card offers some of the fastest read and write speeds available as well as offering a 10-year warranty." 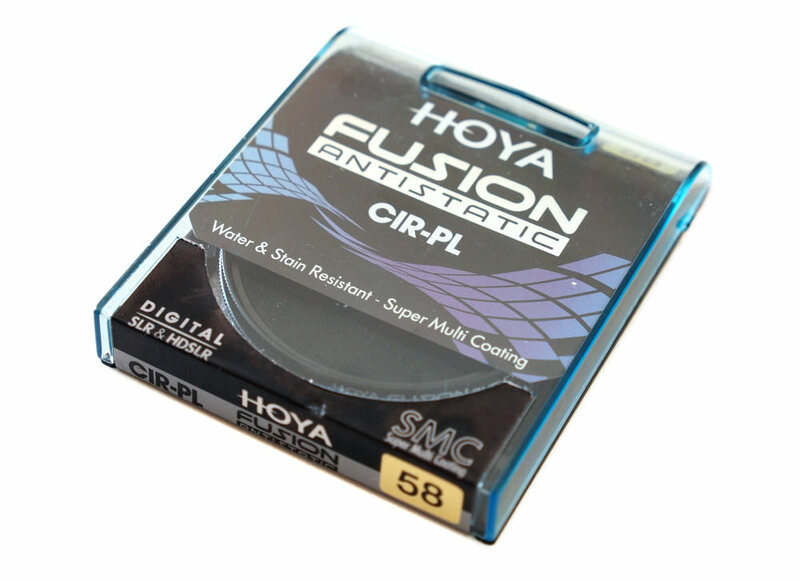 Hoya Fusion Anti-static CIR-PL Filter - A circular polarising filter can give your images added pop, as well as reduce unwanted reflections. The latest from Hoya is water and stain resistant, which gives you cleaner images and added protection when out and about shooting. "The HOYA FUSION Antistatic CIR-PL filter repels dust well and the coating also makes it easy to clean, making it a good choice for high-quality lenses. 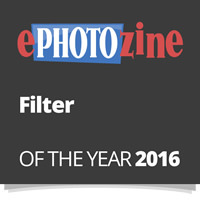 There is no degradation of image quality with the HOYA FUSION Antistatic CIR-PL filter." The Pentax K-1 answers Pentax User's demands for Pentax to release a full-frame Digital SLR, and rather than Pentax releasing a "me too" product, Pentax has released a full-frame camera that challenges the main manufacturers, both in price and features. There is another good reason why people want to buy a full-frame Pentax DSLR and that's the fact that Pentax has a history of producing a number of excellent full-frame prime lenses. There's a 36-megapixel full-frame sensor, a weather-sealed body, 5-axis shake-reduction sensor, pixel shift resolution (for better than normal 36 megapixel images), an ISO range from ISO100 to ISO204800, and built-in Wi-Fi and GPS. There is a unique tilting screen and illumination to help you use the camera in low-light. 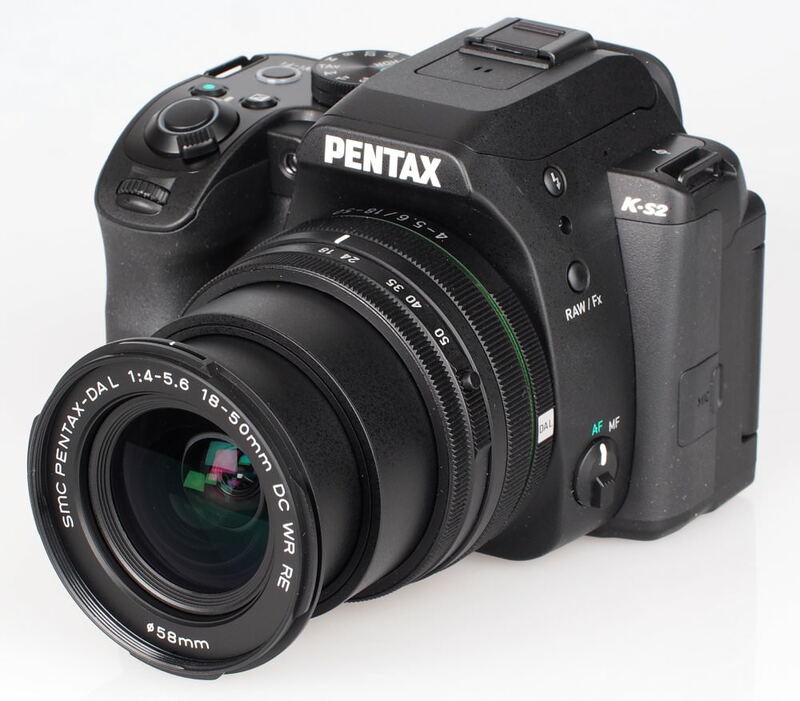 The Pentax K-1 is available for £1799 body only. 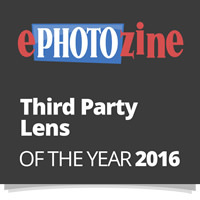 This is the 6th year of the ePHOTOzine Gear of the Year Awards! 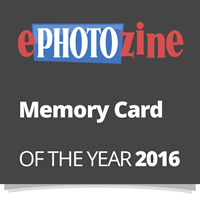 If you'd like to have a look back at previous winners, or simply have a trip down memory lane, then you can view previous winners here: 2015, 2014, 2013, 2012, and 2011. I do like this list and enjoyed reading it thanks - i wonder whether this could be refreshed quarterly. Yes, I preordered a K-1 with the 150-450, a tank of a combo, solid as a rock, worked well, from early May when I finally received it until October, then whole thing locked up into manual mode, nothing the techns from Pentax could say that could fix it, so had to send in, took many weeks to get overseas part for repair, still don't have camera back, but suppose to come this week, the photos I did take with this combo are great. But wonder why it completely broke down. Wonder if anyone else has same problem? Ricoh tech said he has never heard of this problem. Major breakdown, hope it doesn't happen again?